Wild - Garden - Ritual is the culmination of Brooker, King and LeneganÕs shared interest in observing and documenting natural forms: the human body, flora, woodlands and water. 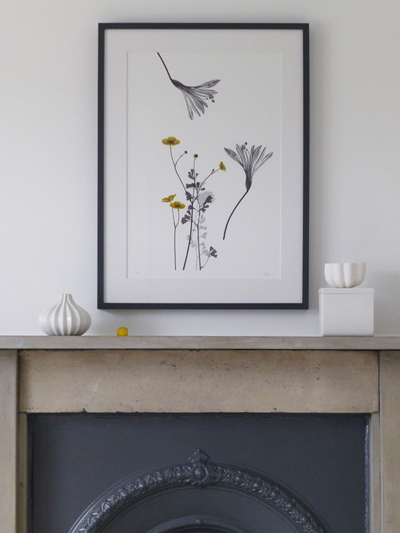 Working within their Sussex and Oxfordshire locations, they create paintings and prints that reflect their personal explorations, contemplations and image making. Exhibiting for the first time together, they invite you to enjoy these artworks in a contemporary space. Directions: The Chalkspace venue can be found at the peak of Roundhill Crescent where it intersects with Ashdown Road. The Crescent is situated just off Upper Lewes Road (near to Sainsburys on the Vogue Gyratory) and is a 5 - 10 minute walk from Ditchling Road, The Level and the Lewes Road areas. The area has a mixture of Residential Permit and Pay & Display parking bays nearby.